A dividend hit for Marks & Spencer investors is offset at high-yielding pair Rio Tinto and Taylor Wimpey. At a time when the high-yielding UK stock market has been attracting plenty of coverage, the blue-chip trio of Marks & Spencer (LSE:MKS), Rio Tinto (LSE:RIO) and Taylor Wimpey (LSE:TW.) today served up some eye-catching reminders about the highs and lows of income investing. 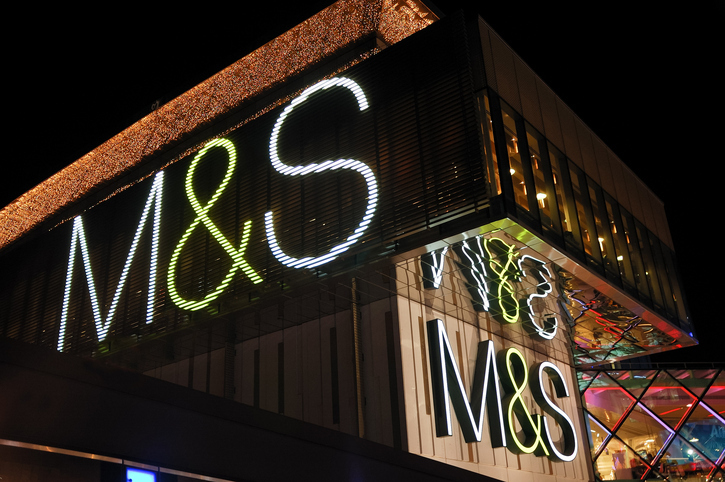 Prior to CEO Steve Rowe's shock announcement this morning, the generous dividend and 6% yield at M&S had been a source of comfort for patient shareholders as they awaited the completion of yet another turnaround story. Now that dividend is being cut by 40% to around 7.1p a share for the 2018/19 financial year as the retailer looks to finance the purchase of a 50% stake in Ocado (LSE:OCDO) UK retail business for up to £750 million. The move is expected to transform the company's online grocery offer, but shareholders are clearly unimpressed at being asked to shoulder the burden through the dividend cut and a rights issue worth up to £600 million. Shares fell 9% to unwind some of the gains seen since Christmas, driven in part by feelings in the City that Ocado has got the better side of the deal. There are also questions about whether the typical M&S basket size merits a full online grocery service. Better news for income investors came from Taylor Wimpey today as the housebuilder reiterated its intention to pay £600 million in 2019, including a £250 million ordinary dividend. According to UBS, this puts the stock on a whopping 2019 dividend yield of 10.7%. While Brexit-related trading conditions are an inevitable worry, the company has stress-tested its dividend plans based on a variety of scenarios, including a 20% fall in house prices and a 30% fall in volumes. The company added: "We are an extremely cash generative business, even in times of market weakness, because of the strength of our balance sheet, the length of the landbank and as a consequence of the control we have over the timing of land investment. "This allows us to provide shareholders with a reliable dividend through the cycle which is a key priority." UBS, which recently described Taylor as one of Brexit Britain's best value stocks, has a "buy" recommendation and price target of 190p based on a forward price/earnings multiple of 8.2x. It said today's annual results showing a 5.5% rise in underlying profits to £856.8 million met forecasts. Current trading in the UK is also resilient, with sales per site per week up 10% year-on-year so far in 2019. Taylor said it had the flexibility to step up its pace of building and accelerate growth in 2020 should conditions turn more favourable. Taylor Wimpey is far from the only housebuilder returning generous amounts of cash to shareholders, with Persimmon (LSE:PSN) and Bovis Homes (LSE:BVS) trading with forecast yields of just under 10%. Significant amounts of cash are also flowing to shareholders at Rio Tinto following today's announcement of a bigger-than-expected special dividend of US$4 billion, alongside an ordinary dividend worth $3.1 billion. Partly funded by major asset sales, Rio said overall cash returns declared for 2018 were a record $13.5 billion in 2018. "We expect the cash returns to be supportive near-term, though we see downside risk to iron ore medium-term." He has a price target of 4,500p, with a forecast 2019 dividend yield of 6.1%. A recent report by Link Asset Services forecast that UK dividend payouts will top £100 billion for the first time in 2019, with FTSE 100 shares set to yield 5%.